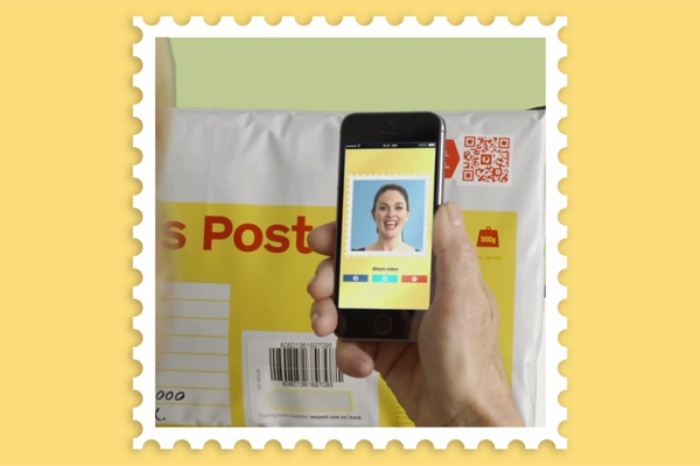 Australia Post is making snail mail a little more high tech with the release of their video stamps. They’re not the first to introduce QR codes on stamps (Croatia released theirs last year), but they are the first to do more with it. Instead of tracking your mail as it gets to you, senders can opt to send video messages along with the package to the recipients. 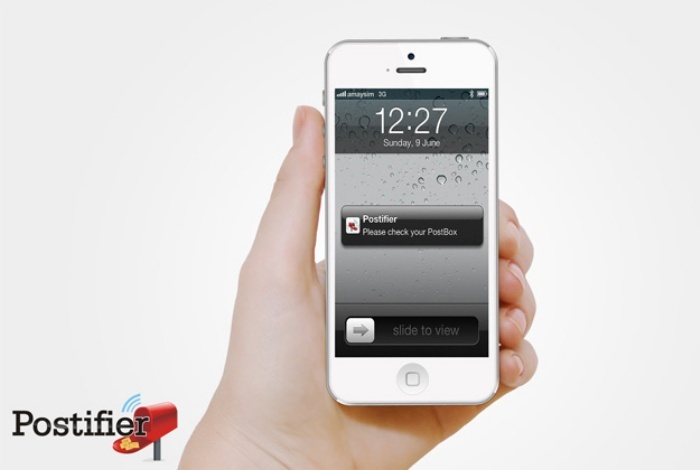 Senders can record clips that are as short as 15 seconds and as long as 12 hours. This way, letters can be made even more personal with a recorded video message. I’m sure you’ve heard of Snapchat by now and what it does. It’s an app that lets users send text, photos, and videos that are viewable to the intended recipient for a limited time. At this point, you’ll more or less know what SecretInk is all about since it’s being dubbed as the Snapchat of email. The service was recently launched by PowerInbox, who wanted to fill the void that was left when other encrypted email providers like Silent Circle and Lavabot chose to fold rather than wait for the NSA to come after them. 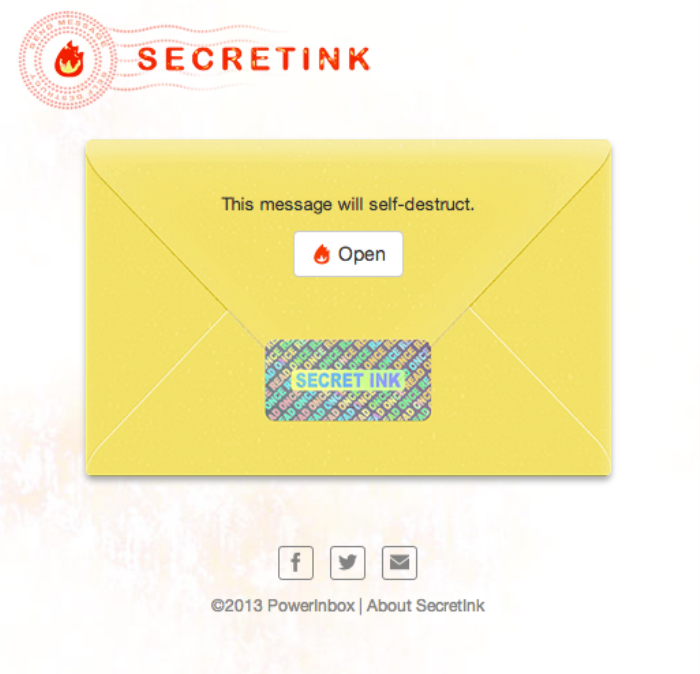 SecretInk can be used with Gmail and other web-based email services via PowerInbox’s add-on. Remember the days when people communicated by wire and by post? We’ve come a long way since then, since the advent of the Internet brought about near-instant ways to send notes and messages, such as through email and SMS. Call me old-fashioned, but nothing quite beats receiving a letter in the mail. There’s just something about reading someone’s message from a handwritten letter versus an email on the browser window. The only snail mail that most people get these days are bills and catalogs. For that reason, most people I know don’t really check their mailboxes often. However, you can change what you receive in the post by sending letters and postcards out first to friends and family from other states and continents. Wait a while, and your mailbox will be filled with letters once more. And so you won’t needlessly check your mailbox anymore, you can install the Postifier. 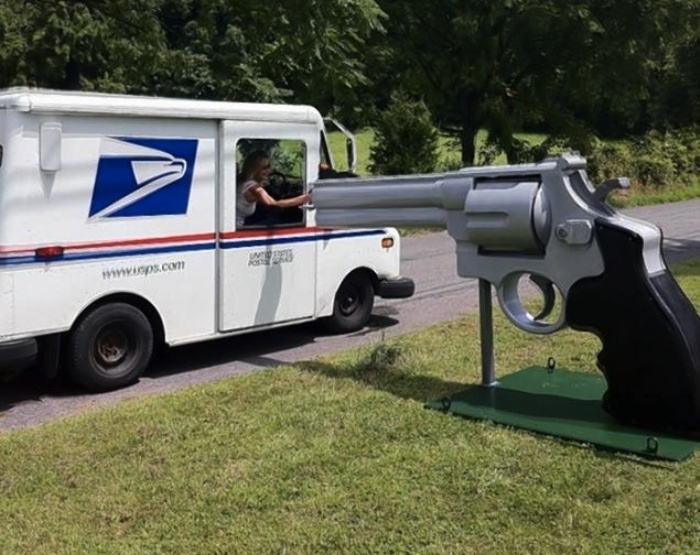 Roger Buchko wants mailmen and delivery guys to pull the trigger every time they stuff his mail into the barrel of his giant .44 Magnum revolver mailbox. The massive letterbox–all 350 pounds of it–is set up prominently on his front lawn. Its barrel is made from PVC pipe and the entire thing is held into place by its even heavier 1,200-pound base. Remember the days when the air smelled fresher, the earth was greener, and people sent their mail using homing pigeons? 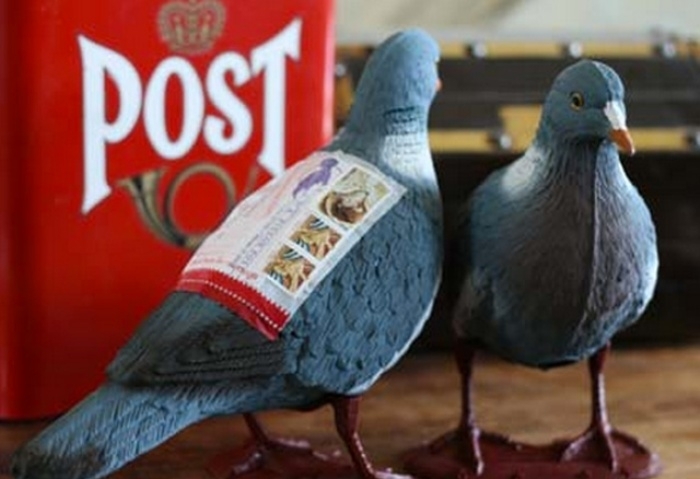 Those days are long gone, but an organization called the Letter Writers Alliance is working to bring back carrier pigeons to encourage people to start corresponding via post again. But don’t expect actual pigeons to make a comeback, because they’re going at it in the most unusual way possible: plastic carrier pigeons. The LWA is selling Pigeon Post kits that contain everything you need to get started on your correspondence: one plastic pigeon, three message forms, three mailing label pouches, and instructions on how to get started. It also comes with postage for one mailing, so you essentially have everything you need to get started with LWA’s kit.